After Black Friday and Cyber Monday, #GivingTuesday is the international day of support for organizations and charities making a difference in your local community. 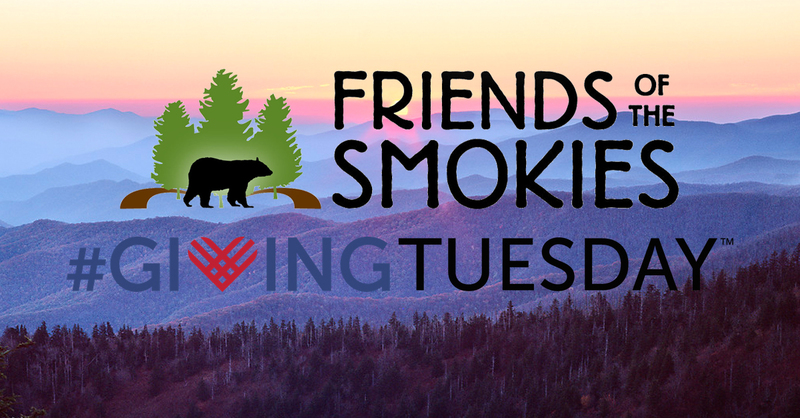 This year, Friends of the Smokies is hoping to raise $15,000 to support critical projects in Great Smoky Mountains National Park, but we need YOUR help. With your donations, big or small, we can fund environmental education for local schoolchildren, black bear and elk management and research projects, historic preservation of cabins and churches, and much, much more. In 2019, we’ll give the park more than $2.7 million, so we need to get started right away. Will you help us? Donate through Facebook at 8:00am on Tuesday, November 27th and your gift could be matched by PayPal, up to $7 million!